Androgen stimulate sebaceous gland to product sebum, clog the duct with sebum and, eventually, clog pores. That plays an important role in the cause of acne in women. 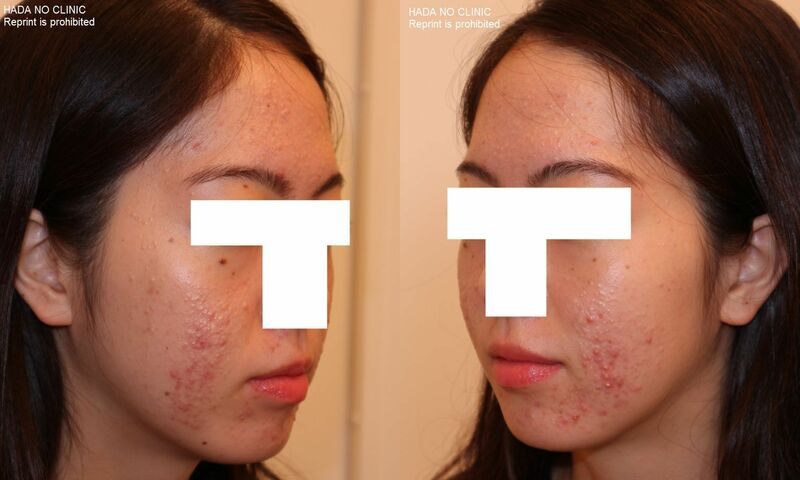 Hormonal therapy is beneficial in not only female acne patients with signs of hyperandrogenism, but female acne patients with normal serum androgen levels. Underlying hormone imbalances may render acne unresponsive to conventional therapy such as oral antibiotics and topical therapy. We offer hormone therapy for moderate to severe acne in women by oral contraceptive pills and anti-androgen medicine. 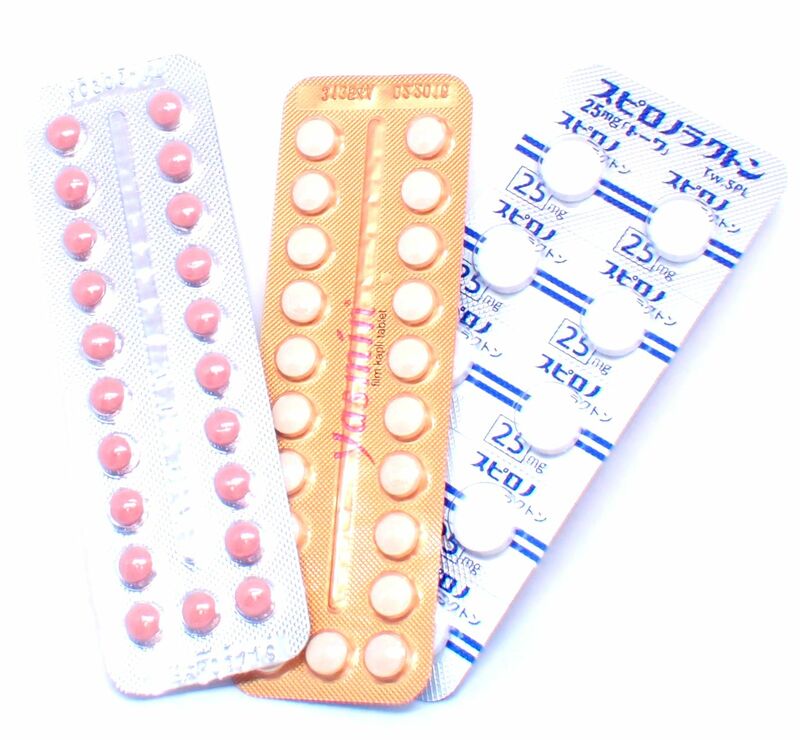 There are various oral contraceptive pills in the world. Most of oral contraceptives are effective for acne but some of them may not work and some of them are more effectively work. Oral contraceptives specifically used for acne treatment contain ethinylestradiol plus one of the following. We prescribe acne patients in women Yasmin, Sucee and other type of pills such as Marvelon and Labellefille. Aldactone (spironolactone) is an aldosterone receptor antagonist that causes the kidneys to remove water and sodium from the body, with reduced losses of potassium. Although spironolactone is used to reduce edema caused by heart, liver or kidney problems, and high blood pressure (hypertension), it is also used for patients with hyperaldosteronism. Spironolactone works by blocking the male hormone receptor as an anti-androgen drug and allow your hormone levels to stabilize. For the firs couple of months, we prescribe 100 to 200 mg/day of spironolactone with contraceptive pills. If there is improvement, the dosage of the medicine is tapering. The tapering must be gradual because there is a high possibility of getting worse in rebound if you stop it suddenly. Side effects and risk of hormone therapy. Common side effects of oral contraceptives include nausea, vomiting, headache, migraine, breast tenderness, intermenstrual spotting, vaginal discharge, missed periods, mood changes and so on. Most side effects should disappear in the first couple of months. Pills can increase the risk of blood clots which is called thrombosis, such as deep vein thrombosis, a clot on the lung, a stroke or heart attack. Pills have also been associated with an increase in blood pressure, benign liver tumors, and some types of cancer. Common side effects of spironolactone include nausea, vomiting, stomach pain, dizziness, headache, abnormal vaginal bleeding, vaginal discharge, skin drying and skin rash. Most side effects should decrease while the dosage of the medicine is tapered. Pills and spironolactone are one of the safest medicine but if you feel any side effects suspect from these medicine, you should see a doctor. At our clinic, we will check blood tests and blood pressure regularly and hand over the sheet “About the side effects of Pills and spironolactone” to patients and explain them on first examination. How long should I take hormone therapy? Hormone therapy in acne has high recurrence rate. About 60% of patients or more may get worse after stopping the medicine. We recommend the patient should keep taking the medicine until the state of acne will decrease. Normally the patients should take hormonal treatment for a couple of years or more. If the recurrence is occur after stopping the medicine, the patients should take another couple of years or switch to the treatment of isotretinoin (accutane). 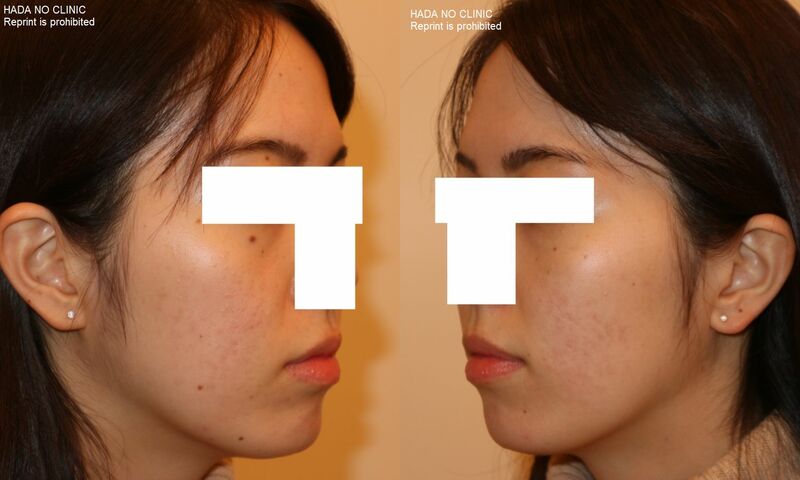 Even if the recurrence occur, however, the severity is low, you can switch to the treatment of topical therapy, chemical peeling and laser treatment. Treatment case of hormone therapy. The following picture is before the treatment. The following picture is one year later from starting of the hormone therapy.